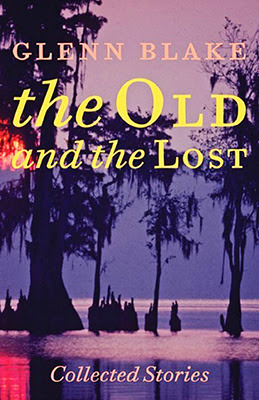 I reviewed The Old and the Lost: Collected Stories (Johns Hopkins University Press) by Glenn Blake for Lone Star Literary Life. Set in the Old South of Southeast Texas, these tales are spare yet atmospheric, with a profound sense of place. If Raymond Carver and Larry Brown had a love child, the result would be Glenn Blake. The Old and the Lost: Collected Stories is an anthology of Glenn Blake’s short fiction, the latest in Johns Hopkins University Press’s “Poetry and Fiction” series. Several of these fourteen stories have been previously published in such journals as Gulf Coast, Southwest Review, and American Short Fiction. Set in the Old South of Southeast Texas, these tales are spare yet atmospheric, with a profound sense of place. If Raymond Carver and Larry Brown had a love child, the result would be Glenn Blake. “The Old and the Lost” is a poignant tale of a son returning to check on his elderly father after the storm has moved on. “Not so much,” I say. “It never does,” he says. “I was in such a hurry to leave everything behind,” I say. “You never can,” he says. “I brought everything with me,” I say. “You always do,” he says. A writer of tightly constructed short fiction is not dissimilar from an artist who paints miniature portraits. Blake is a master.